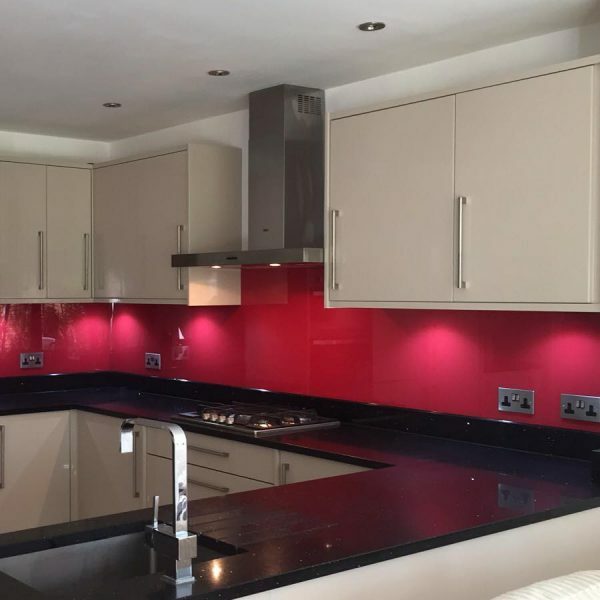 Glass splashbacks available include clear glass, coloured glass, toughened glass, printed image glass splashbacks and more. We can supply and install a vast selection of different coloured glass, you can choose from 50,000 set colours or you can get us to colour match a colour of your choice. 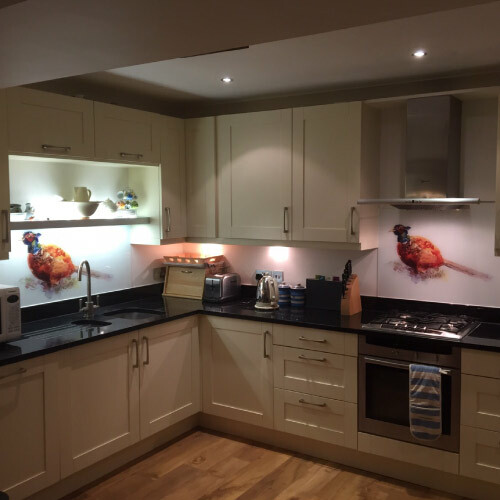 These splashbacks can compliment any kitchen, whether it be one of our German kitchens or an existing kitchen you want to refresh. These are relatively new on the market and make use of the standard glass or toughened glass and add a really spectacular feature and finish to any kitchen. There are a range of fixed designs available or any high definition image or photo can be used. 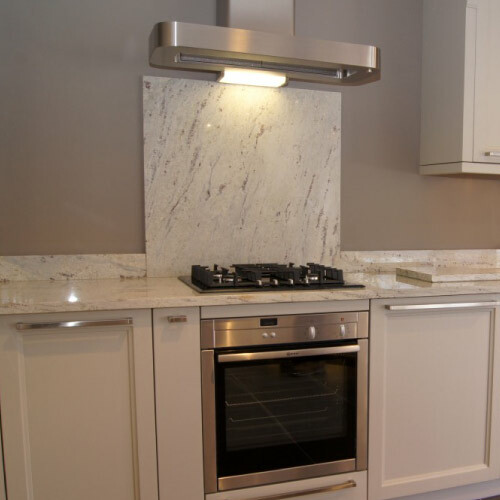 Having a Granite or Quartz splashback is very desirable as it flows perfectly from your worktop material and up the wall. It has all the benefits of your worktop material too, so it’s easy to keep clean, is resistant to staining, impact and many more benefits besides.